A young genius doctor in her peak of career died in a bank robbery. As she thought that it was the end of her life, she is reborn as a daughter of a duke. Her dream to become a protagonist of a fantasy world starts now.... or not. She actually reincarnated as the villainess lady of an otome game she last played in her past life. "Oh well, let the heroine blooms her romance life by herself as I am busy capturing my beloved pet, the black dragon"
Jasmine V.  Leblanck was born in a prestigious family with the memories of her past life. Now she's trying to survive in the life of the rich. Sakura is just an average high school girl who plays Otome games every now and then. She didn't expect that after losing her life, she will get thrown into the most recent Otome game she just finished playing. What's worst is that she is not even born as any of the main characters! She was not the heroine, the villainess, the capture target, nor the heroine sibling! How come she is just a random student in the same class as the heroine? Will she really have a supporter role like in the game? Hello, my name is Rose Gwendolyn, previously known as Mizuki Tachibana. Ah~~ Truck-san you always find a way to keep it going. I reincarnated into a world with magical Powers, and beasts. And yet, here I am. A love rival. And a sister to the heroine at that. "I see...It seems like past would repeat itself"
The famous truck-san strikes again and the victim is a wayward girl named Rosellie Brighton. She manages to get reincarnated into nosebleeding inducing otome game and to her dismay it is in the main beautiful villainess body, Luciela Versailles Rosemarie. However, avoiding her death flags only attracted the capture targets to her like bees on Honey. Instead of ravishing her half-sister, the "good" heroine, they want to lock up the big bad villainess and ravish her to the point that she only think of them. And let's not forget that God himself is beside her as a guardian angel when the drama starts. She had asked herself a number of times  but never seemed to remember. It wasn't her fault that she couldn't even control her body and emotions. It was like she was just a spectator inside the villainess' body. She, who was forced to endure this whole act and made to suffer for every punishment that they gave this villainess, feeling an immense amount of pain at each and every ending. Has she done something so horrible that she deserved this? At least make the endings more merciful! I dont own the picture that I used. I got it off from the internet. Credits to the owner. I know I love otome games but, isn't reincarnation as the Villian a bit too much. Especially since my husband is the God of this other world. Why do I have to bear watching him fall in love with the heroine. What about our child? Oh well, I will just wing this world! Sadly, when she went back from school, she got hit by a car that was almost run over a child! 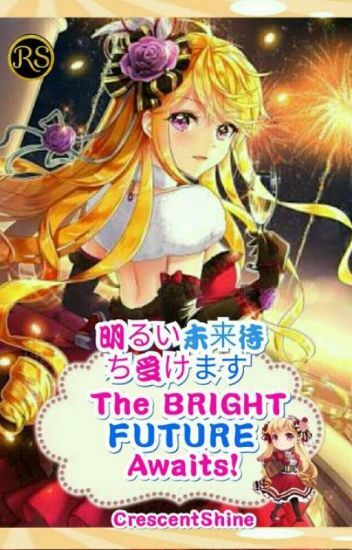 Awaken, she found herself in a body of a baby girl, who is a nameless character in the future and the right hand girl for the villainess in her favorite otome series, the third edition, "Endless Love : A Thousand Years of Vow"!!! With that said, she ran away (Allowed to), disguise as a boy and took a test to enter a Guild. Only to be an everlasting enemy with the best and most perfect capture target, Aaron? This is an adventure of a dense and ignorant girl in the world of magic and love. "Hey! Who said that? I'm just a mob riiiight? That means I'm free!!!!!!" Aoi Akagi was once an elite assassin died cause of truck-sama! She was reincarnated into an otome game she once played but never finished. But she never knew that until she turned 5 years old and met all of the capture targets and the heroine. She wasn't prepared to face them! Or so she thinks. When running away from her idiotic brothers, lazy and anti-social Adeline unfortunately gets run over by a truck. She gets reincarnated into an otome game called Ever Sky Academy a.k.a ESA; one of the hottest games on the market for it's amazing art and hot bishies. Unfortunately, it turns out that Addie reincarnated as the villainess of the story, Serena Disenfald, who, in all the endings gets killed in a variety of gruesome ways.